Silvia is an HPC Registered Physiotherapist graduated at the University of Brighton in 2007. She has worked extensively in the NHS and private practice and has extensive experience in treating a variety of problems ranging from acute injury to long term persistent pain. 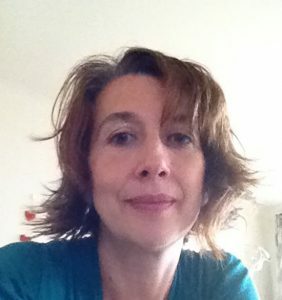 Silvia has been practising since 1998 and is a qualified Yoga teacher and Pilates Instructor and teaches one to one and small group classes, the focus of these small groups is to combine the use of physiotherapy, yoga and pilates to retrain normal movement and function in people with chronic pain. Silvia Post graduate training involves modules in movement and acupuncture. She is currently starting a Master in clinical anatomy and function. Silvia is also a member of the Physiotherapy Pain Association. Beyond her Yoga and Pilates training Silvia has studied meditation, she has a keen interested in mindfulness and spends regular retreats in guided and self directed, silent meditation. Combining Yoga Pilates and Physiotherapy Silvia is passionate about working in rehabilitation with people at all levels of ability and mobility to maximise health and wellbeing.